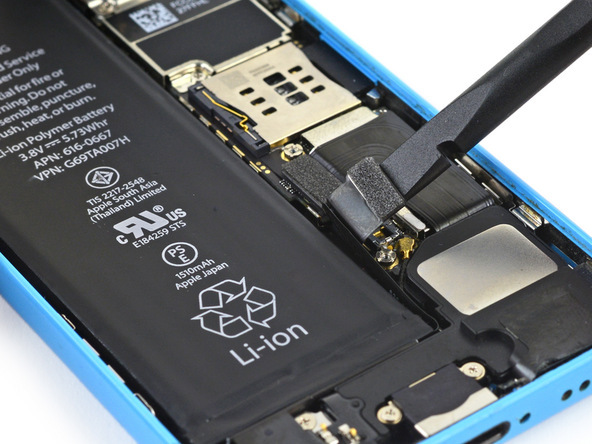 Use this detailed step-by-step repair guide to help you replace the 616-0667, 616-0669, 616-0730 Battery in your Apple iPhone 5c A1456, A1532. 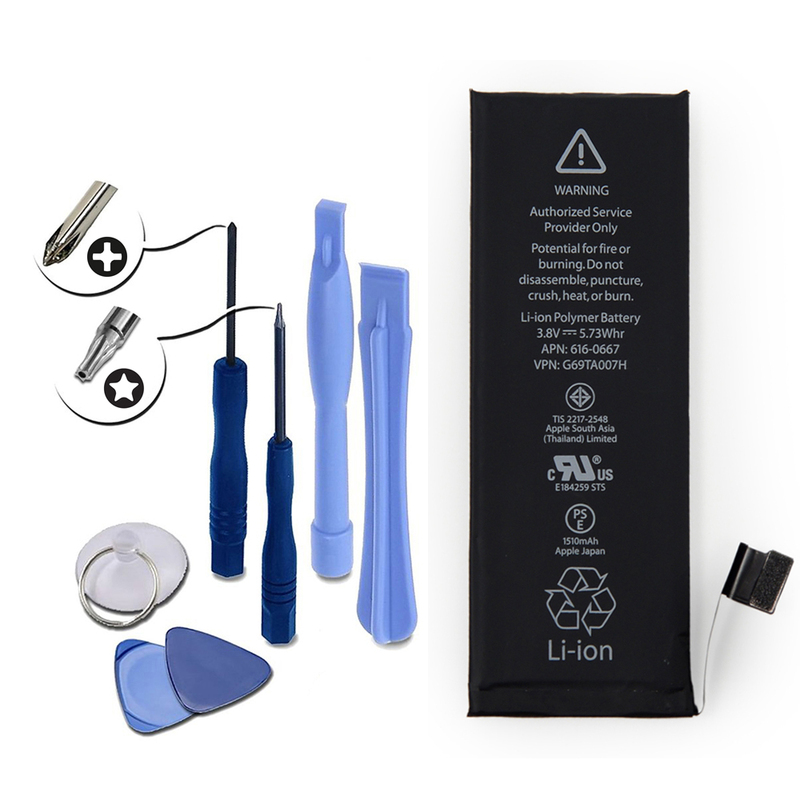 Please Note: Above tools are included for FREE when this replacement battery is purchased from MPFProducts.com. 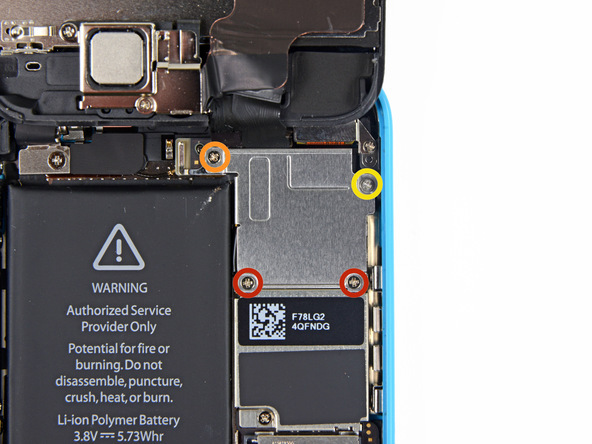 Remove the (2) Pentalobe screws located on both sides of the lightning connector. Place the screws in a safe location for reassembly later. 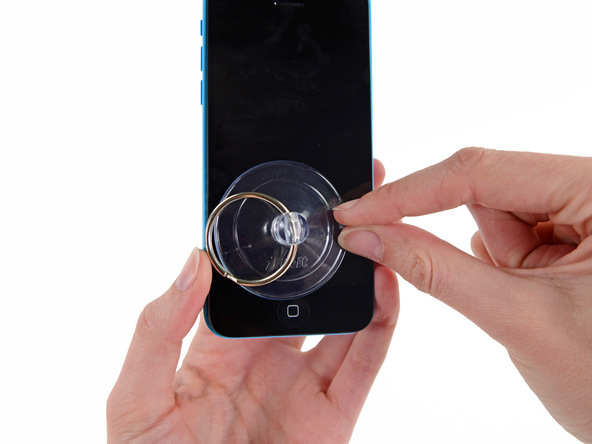 Press suction cup to the screen above the home button. Be sure the suction cup is pressed securely and has a tight seal. Hold the iPhone down with one hand, and pull up on the suction cup so the front panel assembly slightly separates from the back case. The front panel has a tight fit, so be sure to take your time and apply constant, firm pressure. Using a plastic opening tool, gently pry the back case away (down) while continuing to pull up with the suction cup. 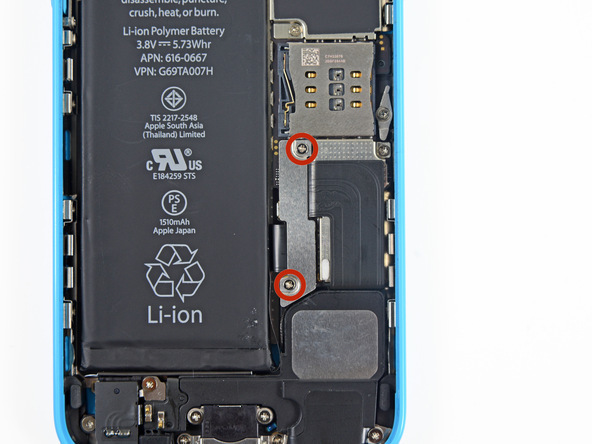 Pull the (home button) end of the front panel away from the rear case, take caution and use the top of the phone as a hinge. Do not try to completely remove the front panel from the rear. There are clips that hold the front panel to the back case so you may need to use the suction cup along with the plastic opening tool to free the clips from the front panel. There are several cables attached at the top of the phone, only open the phone enough so you can disconnect the cables. Pull the plastic nub to release the seal on the suction cup and remove the suction cup. During the next few steps, keep the front panel of the phone supported at a 90° angle until the step where you remove the front panel assembly. Lift the home button end of the front upwards to access to the connectors near the top of the phone. 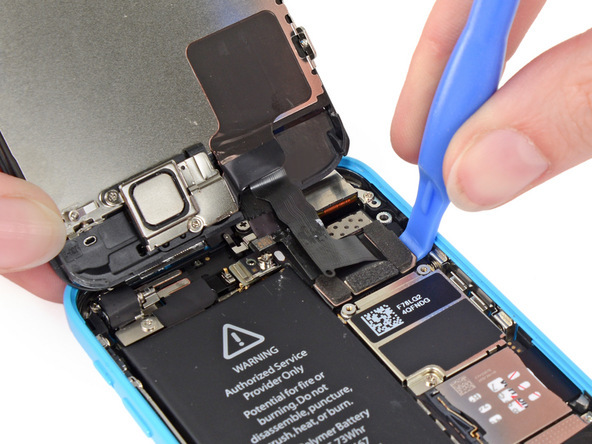 Remove the (2) Phillips screws which secure the metal battery connector bracket to the logic board and place in a safe area for reassembly later. 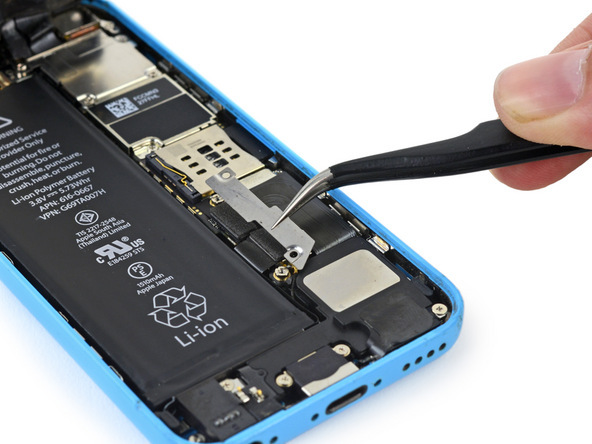 Remove the metal battery connector. 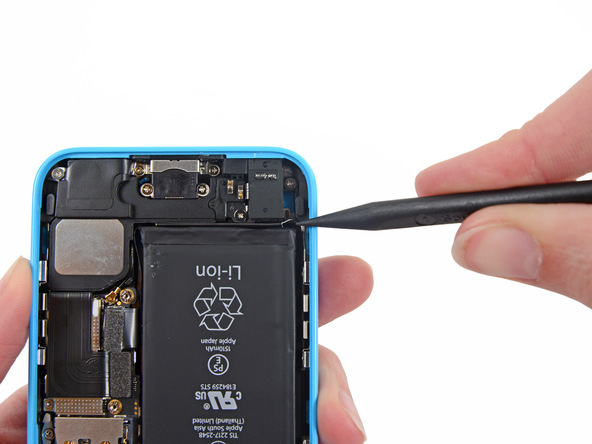 Use a flat edge of a plastic opening tool to pry the battery connector up and off the logic board. 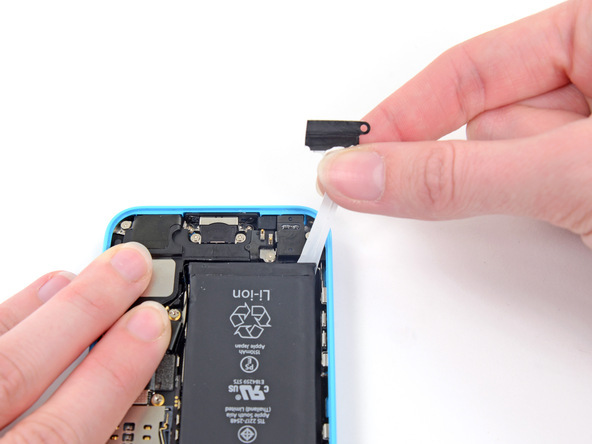 Remove the cable bracket from the logic board and place in a safe area for reassembly later. 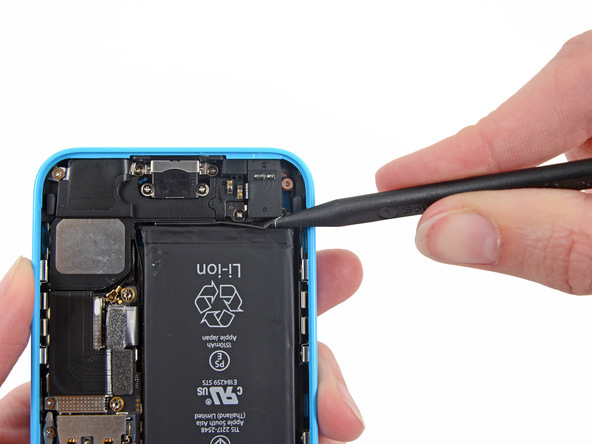 Use a plastic opening tool to pry upward and disconnect the cable connector for the front the front facing camera and sensor. Take care to only pry up on the connector and not the socket. 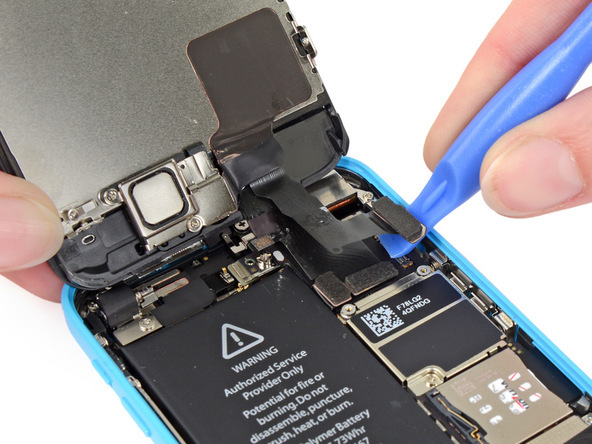 Use a plastic opening tool to disconnect the LCD cable connector. 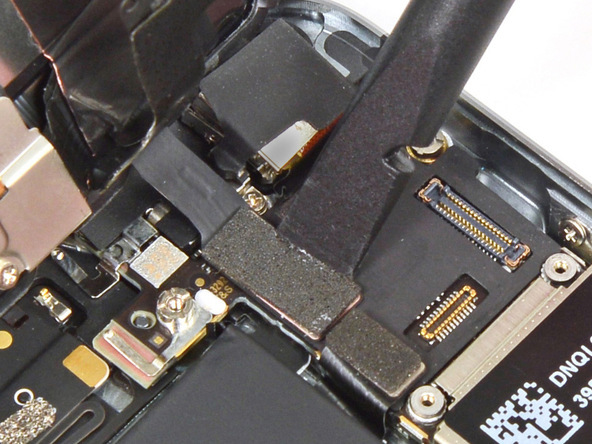 The LCD & Digitizer connectors are on the same cable assembly. Double check both cables are disconnected before removing the display. Remove the front panel from the rear. 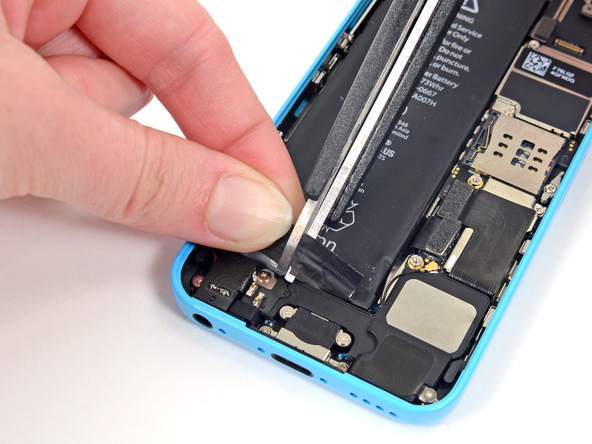 Use the tip of a plastic opening tool and run it between the battery and headphone jack so the battery adhesive tab unfolds. Cut the black part of the battery adhesive tab between the 2 white strips so it separates them. 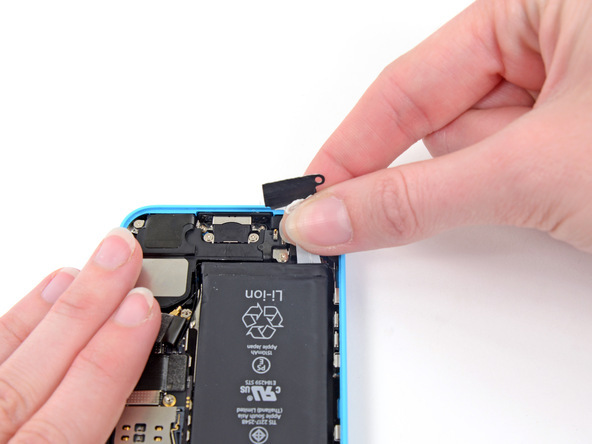 Slowly pull one side of the battery adhesive strip away from the battery toward the bottom of the phone. 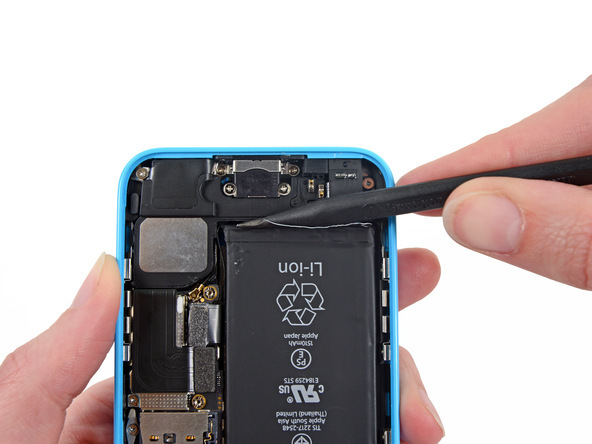 Use constant and steady pressure so the strip slips out from between the battery and the rear case. Guide the strip carefully around the corner of the battery and up the side. 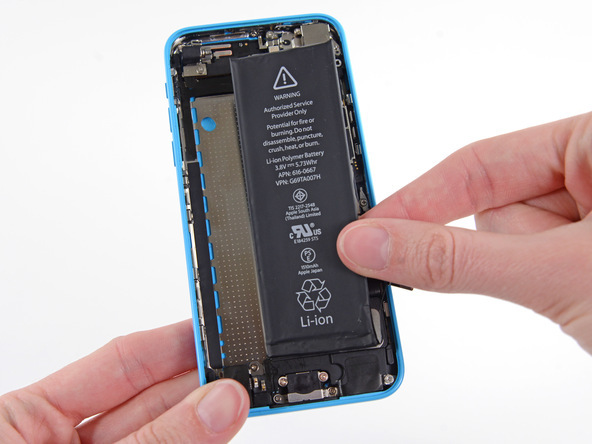 Take care to not snag it on any of the phone components. Repeat the same actions with the second strip of adhesive. (pictured below) and follow steps in reverse order to reassemble. Use double-sided tape if needed to replace the adhesive strips during reassembly.